Put Diesel in your petrol car in Nottingham? Put Petrol in your diesel car Nottingham? Don't panic we can help, we provide a Fuel Doctor in Nottingham & all the towns surrounding that can be with you within the hour!. 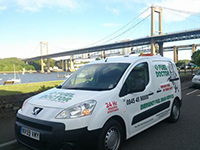 No matter where you are in the Nottinghamshire area, we have a Fuel Doctor near you. We will be with you within the hour and with you for around 15 minutes. Don't panic, just call us. Everyday roughly 20 people put the wrong fuel in their car in Nottingham area, whether its diesel in petrol or petrol in diesel. It's a very common mistake and easily done, we understand that you need us there fast and to get back on your feet to get on with you life. 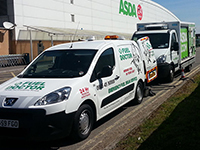 Fuel Doctor are a national company with technicians in Nottingham on standby. If you have put the wrong petrol in your car you can call us anytime of the day and you will have a dedicated local Nottingham Fuel Doctor to get you back up and running. This customer wrongly filled their Freelander full of the wrong fuel. A distressing scenario for anyone. Luckily they got hold of the right people for the job and a Fuel Doctor engineer was quickly on scene to rescue the situation. Draining the wrong fuel and cleaning the tank before finally injecting the correct fuel so the customer was free to head out the road once again. if you find yourself in a similar predicament, don't hesitate in contact the professional wrong fuel specialists on 03334449000. This customer in Nottingham had put 25 litres of Petrol in his Diesel Mercedes A class. A job for Fuel Doctor Nottingham. Our man was on the ground and had the fuel drained within one hour and had him back on the road in 20mins. 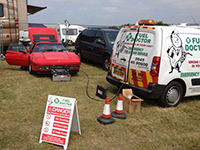 Our fuel doctor can help you anywhere in the Nottingham area so get in touch today. 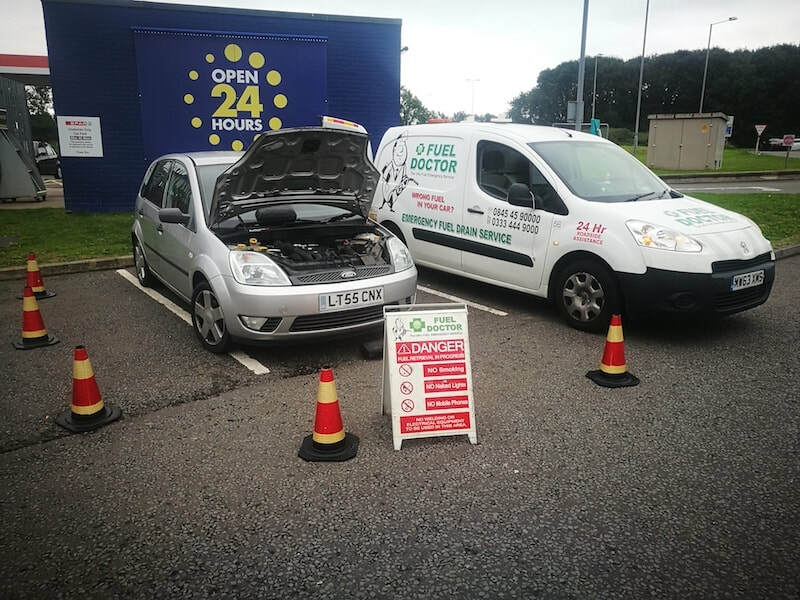 This customer didn't realise that they had put the wrong fuel in their car in Nottingham, as you can see the customer is not near any forecourt but had realised their mistake when the car started to jump erratically down the road. Once the car came to a halt, the customer realised they had put petrol in their diesel car and immediately called out our Nottingham fuel drain technician. We were there in no time and replaced the wrong fuel with diesel and drained through the engine within 20 minutes was back on their way. 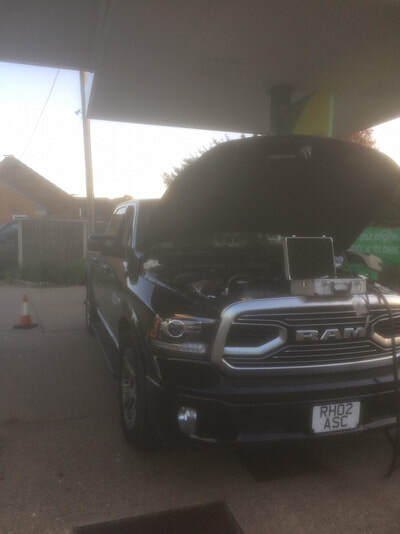 This customer unwittingly put the wrong fuel in his car at a petrol station and drove to his home close by, not long before he arrived the car began to stall and he realised what he had done. After calling our local Nottingham drain technician the problem was rectified for his next journey. This gentleman put the wrong fuel is his Honda motorbike at Nottingham services on his way back from a biker rally. We rectified the problem and had him on his way back home within 40 minutes. 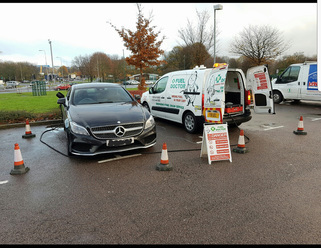 This customer had put petrol in a diesel Mercedes E220D at a BP service station in Nottingham. 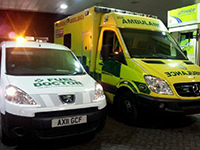 Fuel Doctor Nottingham were in the scene within an hour and had his vehicle back in full working order within the hour. This customer had put petrol in the diesel tank of his Volkswagen Passat, and had actually filled the tank. He had driven away from the filling station and made it to the car park of a local gym when the car stalled. He called Fuel Doctor Nottingham and we had it sorted within the hour. On the 29/5/17 Mr Wiltshire had put £19 wort of Diesel into his Harley Davidson, him and his wife had just been on a nice break away, and were on their way to see there son at a track day at Snetterton. They had filled up in Newark and rode 200 yards down the road, and the bike started to play up and he had realised what he had done. Fuel Doctor Nottingham arrived at scene and we moved the bike to a safer spot. Fuel Doctor then drained the tank, cleared the lines, and cleaned the spark plugs. Mr and Mrs Wiltshire were over the moon to see us pull up to save them, and they were then able to carry on with their journey. 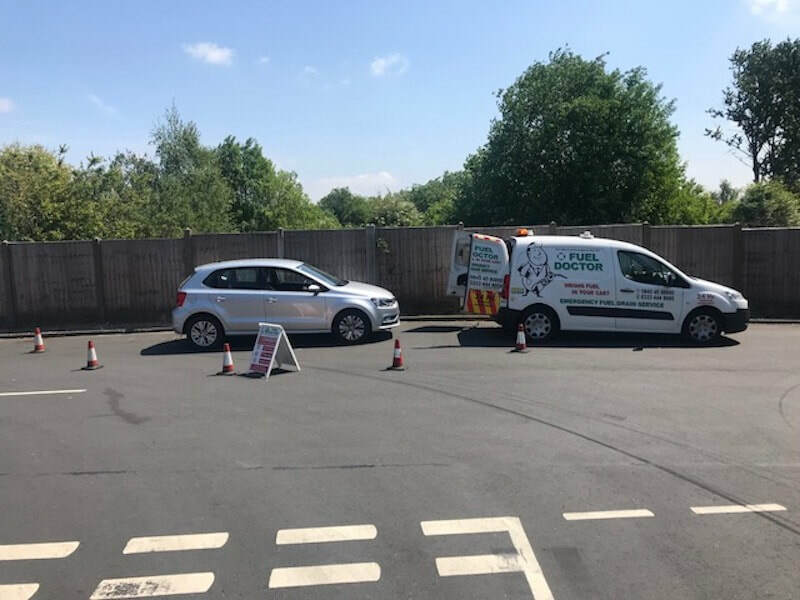 VW Passat put the wrong fuel in his car in Nottingham, on hand within an hour to help after customer managed to make it to a safe space and call us.